This large Aardvark looks both friendly and funny. 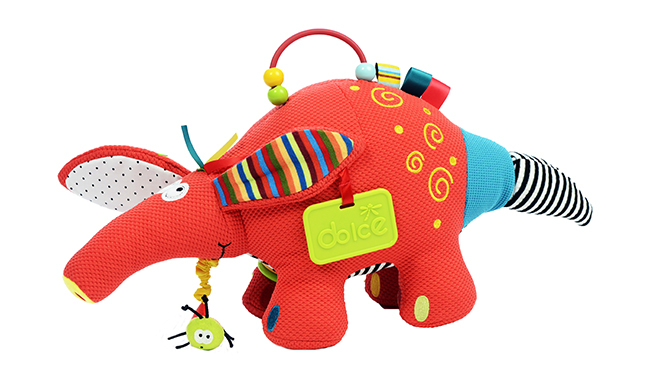 It vibrates when you pull on the ant hanging from its mouth. 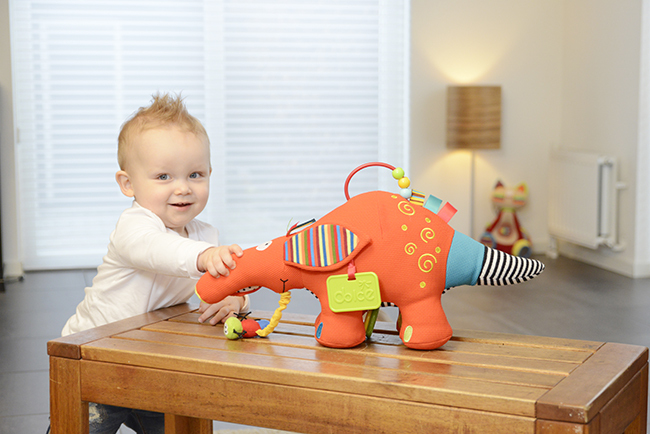 The tail has a click clack sound when turned and the plastic handle is both a teether and bead counter. 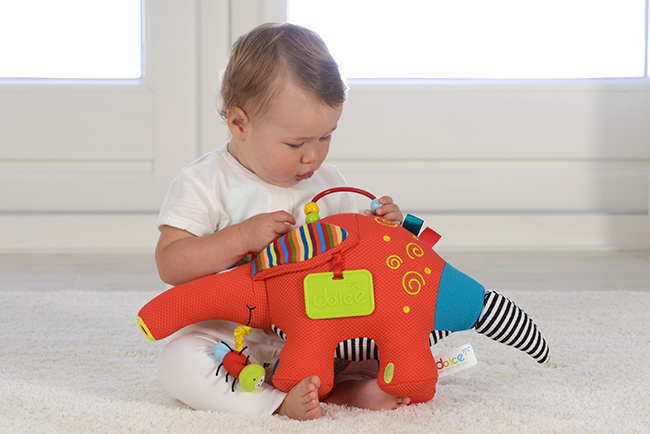 Squeezing the nose will cause a pleasant squeak. The tail can also be wiggled. The soft bean bag interior makes it perfect for cuddles. 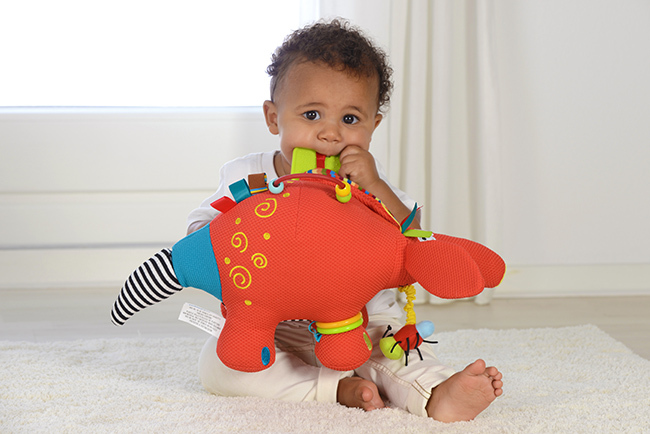 • Sounds: Children will delight in creating sounds through using the squeaker, crinkle and click-clack sound. 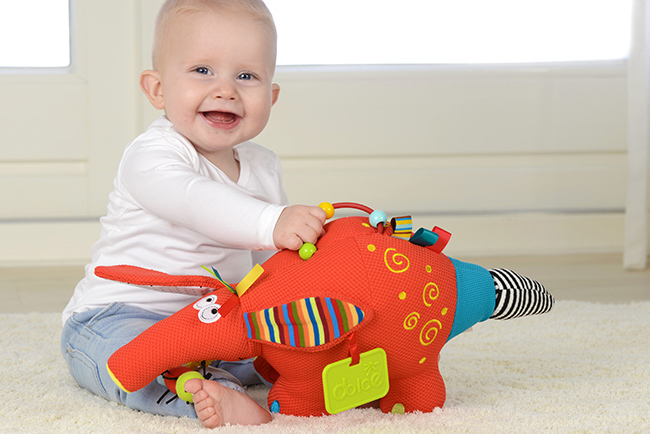 • Vibration: Children will love pulling on the ant to make the aardvark vibrate hilariously. 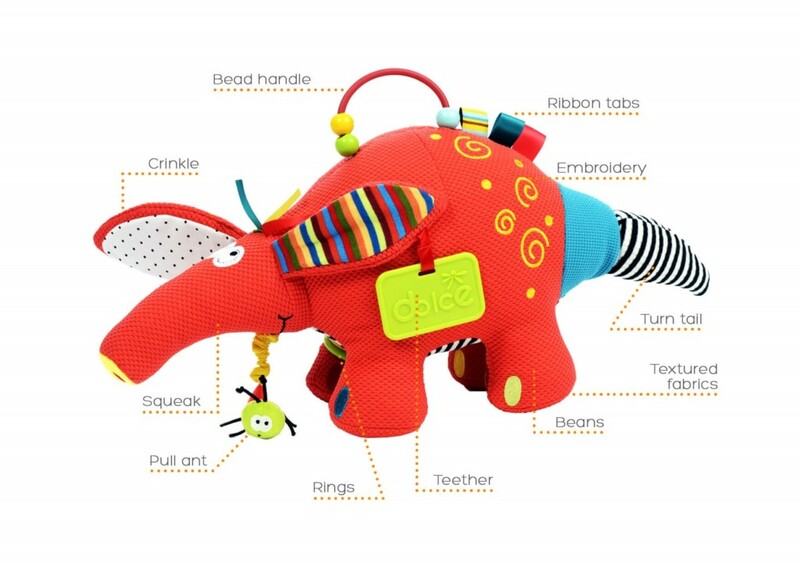 • Touch: The different textures, crinkle ears, turning tail and vibrating ant are extremely satisfying for children to play with. 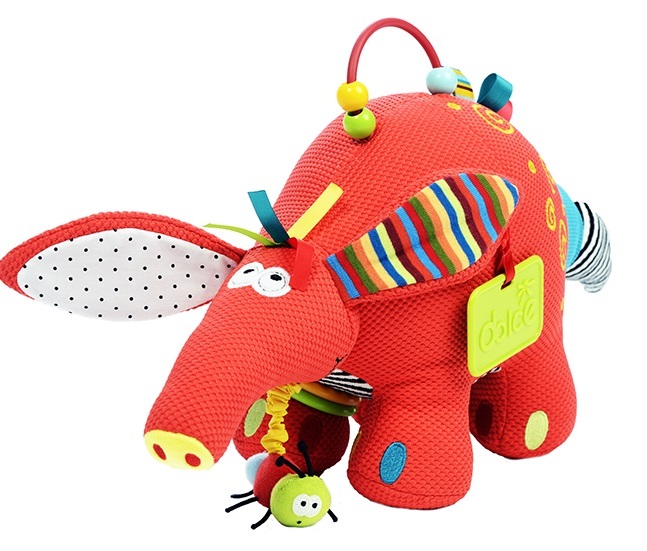 • Helps to connect motor skills with auditory learning by squeaking, crinkling and pulling on the ant to • create vibrations. • Numeracy: The bead handle can be used as an early introduction to counting.